Good thing it’s in the same universe because the cover is obviously meant to indicate that. Really boring cover, but then I wouldn’t have bought the Ancillary novels just to admire their covers either. Goodreads says: A power-driven young woman has just one chance to secure the status she craves and regain priceless lost artifacts prized by her people. She must free their thief from a prison planet from which no one has ever returned. Ingray and her charge will return to her home world to find their planet in political turmoil, at the heart of an escalating interstellar conflict. Together, they must make a new plan to salvage Ingray’s future, her family, and her world, before they are lost to her for good. Well, I’m just as glad this book isn’t set in Radch space, since we all know how young people curry favor with their superiors in order to rise in status themselves in the Radch Empire, don’t we? I would prefer to see Ingray use something other than sexual favors to get what she wants. I don’t much care for this cover copy. “She must free their thief…” — whose thief? Took me a minute to realize the pronoun “their” went back to “artifacts.” Not clear why you’d need the thief particularly, or why the thief would have the faintest interest in Ingray’s future. Well, I’m sure it will all make far more sense in context. 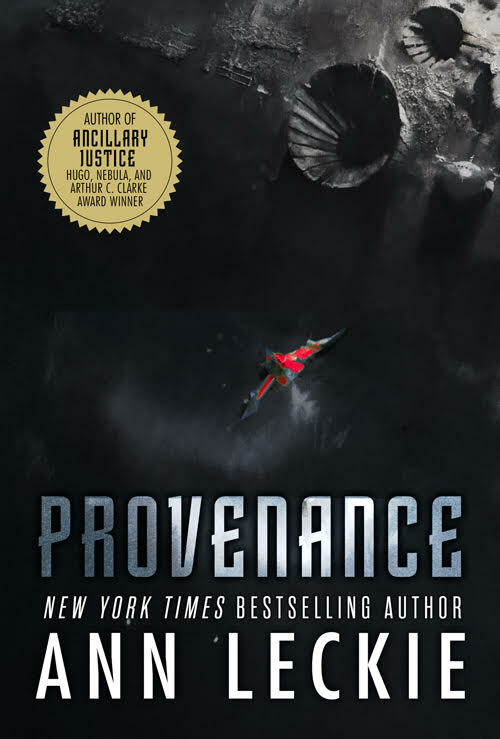 I don’t expect this to be as good as the Ancillary series because I don’t expect any of the characters to be remotely as interesting as Breq. That would be a tough act for any protagonist to follow and presuming Ingray is actually human, I don’t see how she can measure up. But I expect I will like the book a lot anyway. 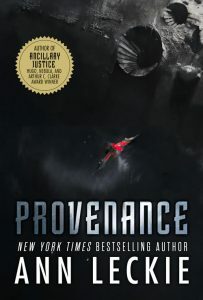 Provenance is due out this fall, I see. I’m looking forward to it. Kim, sure, but somehow I can’t see any human character ticking off as many “unique” boxes as Breq!